Then pass on the inspiration (or treat yourself!). 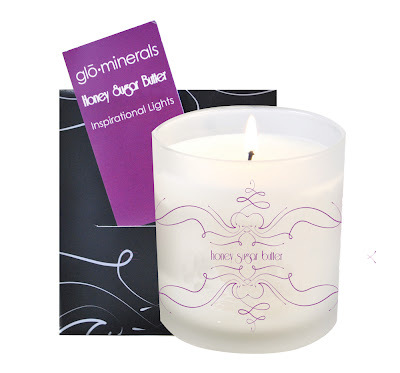 Inspirational Lights Candles come in two luxurious scents honey sugar butter and cheer. Included in the box is a card where you can write an inspirational word or thought for the person you are giving the candle to. Have him or her place the thought card under the candle so that each time the candle is lit, he or she can remember the inspiration that lies beneath. Share happiness, inspiration and light this holiday season! For more gift ideas see the whole glo Holiday Collection here.